You want to charge a Renault Zoe? In this guide we are going to talk about how to charge one of the best-selling electric cars in Europe, the Renault ZOE. This electric car has a range of 402 kilometers, with only one load it can drive. Zoe is a good choice for our day to day life. The Renault Zoe is available with 41kWh battery, although it was before offered with a 22 kWh battery. How to charge a Renault Zoe? 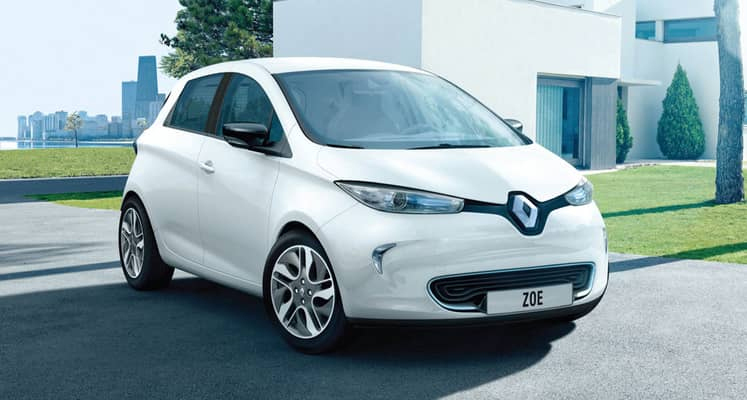 The Renault Zoe uses the Type 2 charging standard, when charging at home or at fast AC points and on public roads. Depending on the network and the type of cargo unit, the Renault Zoe’s cargo can be slow, fast and rapid charged from public points. In most cases, slow charging requires 3-pin-to-Type 2 cable. On the other hand, fast charging from a Type 2-to-Type 2 cable. Type 2 connector, semi fast or fast. To charge Zoe, driver has to connect the connectors to the correct input. After this, car “communicates” with the charging unit. It makes sure that there is a sufficient power supply, that there are no faults and it’s safe to start the charging. If charging at a private charging point at home or in the workplace, vehicle will recognize it and start charging automatically. When charging on public chargers, an activation process will be required to start charging. Activation process may require the use of an RFID card or a smartphone application. Usually the application is linked to an account that has been set up earlier. The activation process defer depending on the network provider. The following table shows the approximate time needed to charge Renault Zoe. Times given are for a 100% charge for altl but rapid charging. Rapid charging is shown for 0-80% as most rapid chargers reduce or cut power long before 100% charge. This provides battery protection and maximization of efficiency. Keep in mind that the times shown are only a charging guide. Rarely an EV will have to be fully charged from 0%. charging rates decrease as the maximum load is reached. The Renault Zoe Z.E. 40 Q90 has the Renault Chameleon charger that covers all applications. This means that when connected to any charger up to 43kW, the Zoe will be able to accept the maximum power rate of the unit. Do you want to buy a charger for a Renault Zoe? Interested in buying a Renault Zoe and need a charger for your home? Contact us and we will inform you about the charging process, the type of charger that best suits your needs, etc. Charge electric car at home.